I have been a fan of Quirk Books after since I picked up a copy of Ransom Rigg’s debut novel Miss Peregrine’s Home for Peculiar Children, a highly original book that appeals to fans across a wide variety of genres. If you haven’t picked up a copy already, I highly recommend checking out the series! It was through this novel that I fell in love with Quirk’s approach to not just releasing entertaining and original stories, but their attention to detail and willingness to take risks with traditional literary formats. 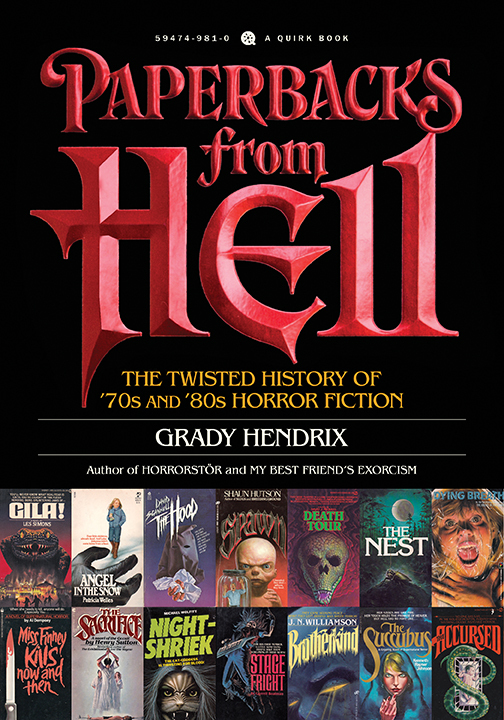 Miss Peregrine’s Home for Peculiar Children utilizes eerie, interesting vintage photographs to bring the story for life and Grady Hendrix’s Horrorstör was packaged in a retail catalog format. So when they asked me to participate in a blog tour to celebrate the release of the film version of Pride and Prejudice and Zombies, I jumped at the chance. Pride and Prejudice and Zombies mostly follows the Bennet family. Mr. Bennet lives in the country town of Hertfordshire with his wife and five daughters. While his wife is swept up in the town gossip around a wealthy man who has settled nearby and thoughts of marrying off her daughters, Mr. Bennet is consumed by one thing and one thing only; protecting his family from the scourge of “unmentionables” that were spawned from an outbreak of a strange plague that has been a problem plaguing England for many years. Mr. Bingley is the suitor and he does not have very much fighting experience, yet he possesses a charisma that makes people flock to him when he arrives at the local ball that the Bennet’s are attending. However, his friend and closest confidant Mr. Darcy drew the most attention from those present due to his good looks and legendary resume as one of the most accomplished slayer of unmentionables in all of England. However, he is disliked by many due to his rough manners and air of superiority. It is at this ball that we first witness the Bennet sisters skill at killing unmentionables as a swarm of them smash in the windows and unleash a bloody attack on the defenseless guests. They are not only skilled warriors, they are highly organized. When I read Mr. Bennet’s proclamation of “Girls! Pentagram of Death!”, I was highly impressed by their choreographed attack and made me excited to see the changes made to the Austen classic. Pride and Prejudice and Zombies follows the plot of the original Jane Austen novel pretty closely, but Grahame-Smith adds his own spin to the story with zombies, ninjas and a dystopian London. Elizabeth is easily my favorite character from the novel. She is fiercely independent and battle hardened, having trained with her sisters in a Shaolin Temple under the tutelage of Master Liu. There is a scene where Elizabeth and her sisters stumble upon a group of unmentionables and while they argue about whether to dispatch them or leave them to the elements, Elizabeth takes her cousin’s pipe and throws it into the group of unmentionables doused in oil, causing a vicious explosion. As he looks away in fear she simply states, “You see Mr. Collins…God has no mercy. And neither must we.” Although her skills as a warrior and badass attitude is what initially made her my favorite character, she also unleashes some witty one-liners that lend a touch of humor to the story. There is a cool scene in Pride and Prejudice and Zombies where Elizabeth and her family are on their way to the city and their carriage is surrounded by over 200 unmentionables. While the men who were meant to protect them with nothing more than muskets were being devoured and firing wildly due to their panic, Elizabeth springs into action armed with her musket and katana and shows her prowess as a warrior by driving away the entire herd and driving the carriage to safety. There is also the sad yet darkly humorous portrayal of Charlotte’s transformation into an unmentionable. Charlotte is Elizabeth’s best friend and confided in her shortly after her engagement that she has been stricken. While the signs are easy to miss at first, it is almost comical how blind everyone is to her affliction despite her garbled speech, gruesome appearance and strange behavior. My favorite scene from the book and the one I am most excited about seeing in the film is when Elizabeth battles Lady Catherine’s ninjas for the amusement of her guests. By now, readers are well aware of Elizabeth’s fighting skill, but it is still a fun scene to watch unfold. Lady Catherine exhibits the same snobbish attitude as her nephew Mr. Darcy and openly criticizes Elizabeth’s fighting ability and attempts to diminish her accomplishments at every turn. When Elizabeth blindfolds herself before the fight, you know you are about to witness something awesome. Elizabeth quickly dispatches the ninjas in truly gruesome fashion that will undoubtedly appeal to horror fans. While those are the most interesting action sequences that would probably make for great scenes in the film version of Pride and Prejudice and Zombies, some of the things I am most about seeing brought to life are some of the settings. London is portrayed as a fortress in the novel with a massive wall surrounding it meant to protect those who live in the city as well and serve as a quarantine from the plague. Though the city has all of the amenities its residents could need, it is a militarized zone with members of the King’s army patrolling the streets. One of the most interesting settings is the burning grounds of Oakham Mount. Places like Oakham Mount litter the country and the plumes of smoke produced from burning the unmentionables can be seen all over England, regardless of the weather or time of day. These massive fields are where people brings cages and cages of unmentionables to be burned in exchange for money. While most of these are farmers or other members of town who simply use the system to rid their property of the creatures, there is mention of interesting zombie hunters known as “Reclaimers”, who set traps all over the country. They mainly capture unmentionables, but have a nasty reputation of intentionally infecting others to increase their payments. I have read a lot of zombie novels and seen a ton of zombie movies, but I have never seen a setting like this and would love to see how it is captured in the movie. Pride and Prejudice and Zombies is an interesting idea – taking a piece of classic literature and injecting a bit of darkness and horror into a beloved work. I have wanted to read this book for a while because of the hype surrounding it, but it somehow it slipped beneath my radar until now. Part of the reason I enjoyed this book was that it takes the classic tale of the Bennett sisters, but turns it on its head. They still have the charm of their original counterparts, but in Pride and Prejudice and Zombies, the Bennett sisters are just as likely to lop off the heads of zombies and beat you to a pulp as they are to attend a ball. 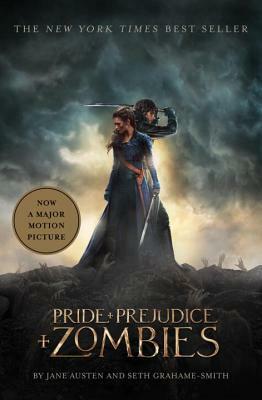 While I enjoyed myself reading Pride and Prejudice and Zombies, I was a little disappointed that the zombie element was not as prevalent as I hoped. There are a few scenes that I highlighted in my review where the concept really worked, but often times the zombies are seen as more of a nuisance than a deadly force. I also wish that Grahame-Smith would have taken a little more liberty with the overall plot of the novel. He adds some really cool elements to Austen’s original story that makes it uniquely his own, but a lot of those moments are just begging for more page time. It would have been awesome to get flashbacks of the Bennet sisters training in China, their first time fighting against zombies together or even scenes of how London transformed into a fortress. Despite the fact that the novel didn’t quite live up to the expectations I had for it, it is still an enjoyable read and I look forward to checking out the film version! Purchase Pride and Prejudice and Zombies: Amazon, Barnes & Noble, or your favorite bookstore!